Knowledge, diligence and quality awareness: The Powermat 3000 is the result of the interaction of these factors. From the construction of the high-quality cast iron base to the programming of the intuitive control and the production of the high-precision spindles all the way through to the precise assembly of all elements. The Powermat 3000 offers ideal conditions for serial production with maximum surface quality. The modular design and large number of options enables the most diverse applications. Not to mention excellent cost efficiency and resale value. Regardless of the application, the Powermat 3000 can be adapted to your individual requirements in terms of quality, flexibility and performance, thanks to its modular design. The basis for this is the exceptional standard of the Powermat 3000, which impresses with an intelligent machine concept. 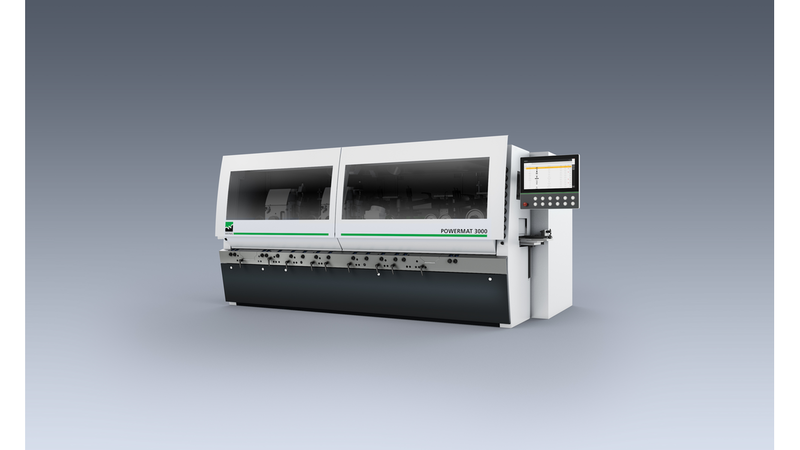 The robust machine base serves to integrate high-quality components with convenient settings and intuitive machine control, resulting in a machine that is very easy to set up. For you, this means shorter set-up times, high operator safety, high machine availability and economical production - with legendary WEINIG surface quality.